OKAY so you kinda know any opportunity I get to put Woo Tae Won out there I'm gonna do it. People seem to forget that he was a part of this group until pretty recently actually. He actually composed this song and a lot of their other songs which I've said before I believe. ANYWAY that being said. SPEED to me never really got the promotion they deserved. A lot of their videos can be kind of Halloween themed. "Don't tease me" for example. But this video is just spookie. This song always made me laugh mainly because the song doesn't match the video. 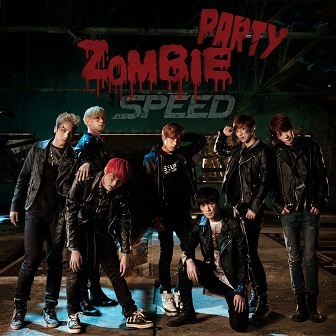 It's kinda of an up beat dance type song, and when you think of zombie you think spookie. BUT MY BOO IS IN IT.